The Nintendo Switch is finally here and I'll be honest, I haven't done much else today nor did I get much sleep last night. That being said it's no surprise that this week's Nintendo Download is mostly about the Nintendo Switch launch. 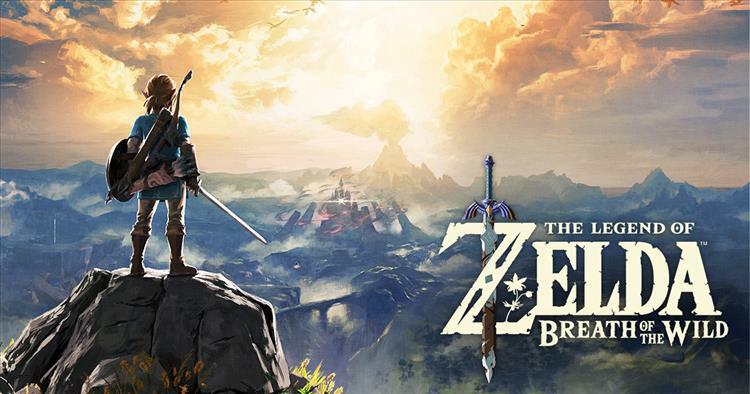 Of course the big title for the launch is The Legend of Zelda: Breath of the Wild and so far in my opinion it's been living up to the high review scores it's been receiving. I'm about four hours in and have done quite a bit in terms of progress, but I still feel like I've barely scratched the surface with this game. I knew the game was huge but after seeing what lies beyond the starting area, I was really impressed. However, Legend of Zelda isn't the only game that was released today. There have been many posts all over the place about what games would be coming out at launch so as a slight recap, Switch owners can also check out 1-2-Switch, Snipperclips - Cut it out, together, Just Dance 2017, Super Bomberman R, and Skylanders Imaginators in terms of physical cartridge games. Meanwhile the eShop will have those games (minus Skylanders) as well as Shovel Knight: Treasure Trove, Shovel Knight: Spector of Torment (both of those are exclusive to the Switch for a limited time), FAST RMX, and I Am Setsuna. 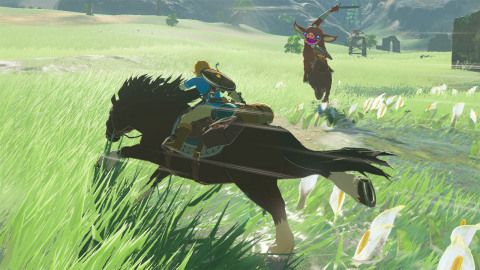 Don't worry, the Wii U is still getting some love beyond The Legend of Zelda: Breath of the Wild. Players can now check out two new additions to the Virtual Console in Dungeon Explorer and Neutopia, both originally released on the TurboGrafx-16. Dungeon Explorer allows up to five players to play through the action-RPG at the same time while letting them choose from eight different character types. Meanwhile, Neutopia was essentially the TG16's answer to The Legend of Zelda and it's not too bad, though I did find it to be a bit difficult part way in (yeah, I really need to go back and finish that one). Finally, the 3DS eShop saw the release of Story of Seasons: Trio of Towns. I've never played a proper Story of Seasons/Harvest Moon game outside of Return to PoPoLoCrois a while back, but I really enjoyed my time with Trio of Towns. Granted I wasn't able to do everything there is to do as there are still a lot of achievements I still need to get (one of them being to play the game through five seasons), but if you're into the Story of Seasons series, I'd say definitely give it a shot as there wasn't much that I found to nitpick at. Shovel Knight: Specter of Torment – The latest campaign from the critically acclaimed hit game Shovel Knight is a full-featured game starring Specter Knight, one of the villains from the original game. The massive prequel campaign includes even more content than the last campaign update, Plague of Shadows. Shovel Knight: Specter of Tormentwill be available on March 3 and is exclusive to the Nintendo Switch system for a limited time.